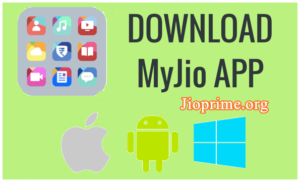 Jio Prime Recharge Online: Reliance Jio Prime Plans, Cashback Offers: Reliance Communications is one of the most popular telecommunications firm in the country that offers exclusive offers for all the users. Earlier in the year of 2016, i.e., on 5th September 2016, the company has launched an exclusive welcome offer with Jio 4G SIM. The company has announced that the users of Jio SIM can make use of incredible free 4G offers. As per the Jio Welcome offer, the users can make unlimited free calls, SMS and free unlimited mobile data. The users need not have to pay a single penny to acquire these Jio Welcome offers. It has announced that the welcome offer ends on 31st December 2016. 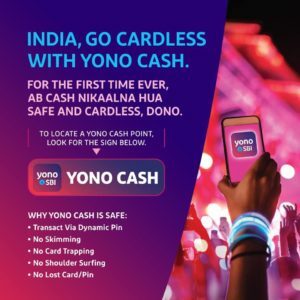 So People can Do JIO Recharge Online From Here. The Jio Dhan Dhana Dhan offer is aimed at customers who were unable to avail the Jio Summer Surprise offer benefits before it was pulled officially, as well as new customers. 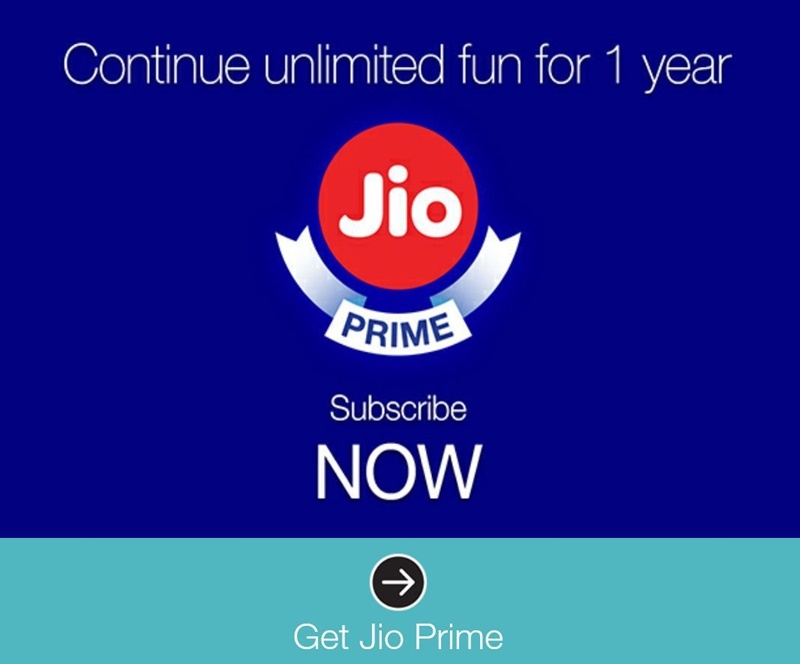 In order to get the benefits of the new offer, users need to subscribe to Jio Prime membership plan. Those who are already part of the Jio Summer Surprise promotion will not get the benefits of Jio Dhan Dhana Dhan offer. 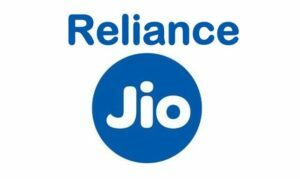 Jio Prime users will be able to get the free Reliance Jio services for three months with the Rs. 309 and Rs. 509 recharges. Customers who are yet to sign up for Jio Prime or who are new users will have to buy the Rs. 408 (Rs. 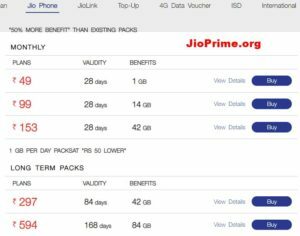 99 Jio Prime subscription + Rs. 309 pack) or Rs. 608 (Rs. 99 + Rs. 509) recharge in order to get the free services for three cycles of 28 days. Once you buy the recharge, you get the free Reliance Jio services for 84 days (3 x 28 days). The tariffs are only marginally more expensive than the original recharge values of Rs. 303 and Rs. 499 for the 1GB and 2GB data benefits, respectively. The Jio.com website and MyJio app show that the actual tariffs for the Rs. 309 and Rs. 509 recharge are Rs. 349 and Rs. 549, but the operator is giving a Rs. 40 discount at present. Reliance Jio has not announced whether there is a last date to sign up for Jio Dhan Dhana Dhan offer. If you have run out of data in the middle of the month, you can take a data add on to continue using uninterrupted High Speed Internet. 3. Retail Store or by visiting your nearest Reliance Jio/Reliance Digital outlet. sir i want jio dth, were is sale it i am frm waranga distc ts. I have recharged with Rs.309 after making the payment it says your request cannot be processed now, May I know where did my money go? Sir i m Jio prime member but not enrolled any offers …But still i am calling with Jio SIM… Please inform when would it ends? I got a recharge of 309 plan on my Jio Sim 8619934935 on 15th of this month. The paytm app confirmed that the recharge is done but I did not receive any confirmation regarding this neither via SMS from jio nor via MyJio app. Please help me out and tell me how do I confirm whether my recharge is done or not. 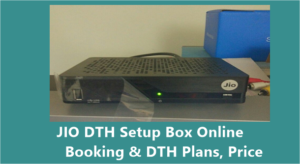 Hum bhi jio DTH ke dealar ship banna chatey hai…plese help..